Including a chance to win FREE Curriculum or get Follow Me at $10-$15 off the regular Price. First 13 People to order get a FREE children’s ministry book! Premium Includes: Everything included in Standard plus CD-ROM with Curriculum, PowerPoint slides and slide in jpeg format. Made 2 Praise Volumes 1 & 13 DVDs with Praise Music suggested for curriculum. 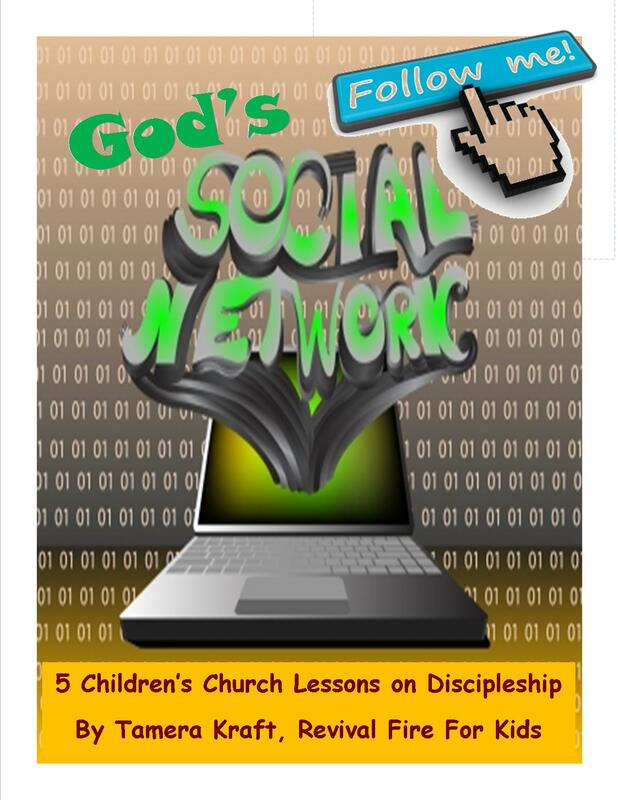 $10 off the Price: Post by Friday the following on your Twitter or Facebook: ”Find out how to get Follow Me curriculum & children’s ministry books FREE. http://wp.me/phSlE-pf #kidmin #cmconnect #revivalfire4kids”, Then email me at revivalfire4kids [at] att.net and tell me that you posted it. It’s that simple. $15 Off the Price: Post on more than one social networking site or post on FB or Twitter 5 times by midnight Wednesday, then email me and let me know. But there’s more. Win Follow Me for FREE! If at least 20 people email me, you’ll be entered in a drawing to win the standard version of Follow Me Downloadable Curriculum. If you win, you’ll be given a coupon code to get the curriculum free online. You’ll also be able to upgrade to the premium edition for only $15. But that’s not all. Win FREE Children’s Ministry Books. I have a ton of children’s ministry books that are slightly used children’s ministry books that I’m giving away. All you have to do is buy the Follow Me Curriculum by Friday, April 13th, and email me to tell me you’d like a free book. This is on a first come first serve basis for choice of books until they run out, so hurry. Because Follow Me has 5 Lessons and a theme, it’s perfect for children’s church and VBS. This entry was posted in Children's Church Cirriculum, Ministry Resources and tagged children's church curriculum, Discipleship Children's curriculum, downloadable children's church curriculum, Follow Me curriculum, vacation Bible school, VBS. Bookmark the permalink.